When it comes to summer if there’s one thing my kids, the hubby and my two new little goats love ,it would have to be a good old British caravan holiday. Rain, cold or sunshine caravan holidays offer an abundance of fun and adventure for the whole family. The kids get to experience the outdoors, the family get to bond over everyday tasks and, of course, the savings you can make when compared to a holiday abroad. Bliss. If there had to be one thing that puts me off a caravan holiday though, it would have to be the cooking. When the sun is out the BBQ is the perfect cooking tool, but if it rains (as it so often does!) cooking healthy, delicious meals inside the caravan with one hob and microwave can be a real problem. That’s why I’m super excited to announce the launch of my latest collaboration project The Ultimate Caravanners Cookbook. Put together by 20 of the best UK food bloggers, the book is a compilation of tried and tested recipes designed with the aim of making delicious meals for all the family super easy. 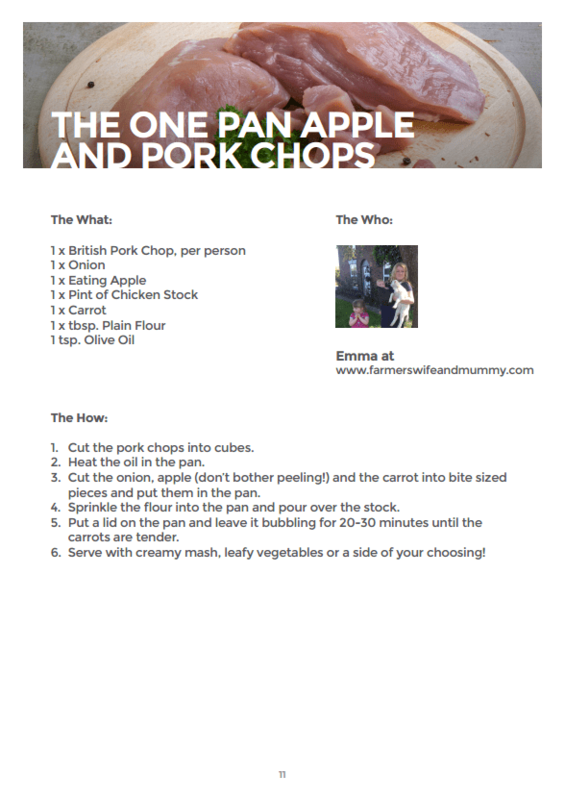 For my recipe I nominated one of super family favourites: The One Pan Apple and Pork Chops. With only a few ingredients needed, this meal can be done with only one pan (hence the name) and can go from prep to table in under 30 minutes. Perfect after a long day of adventure with the kids! 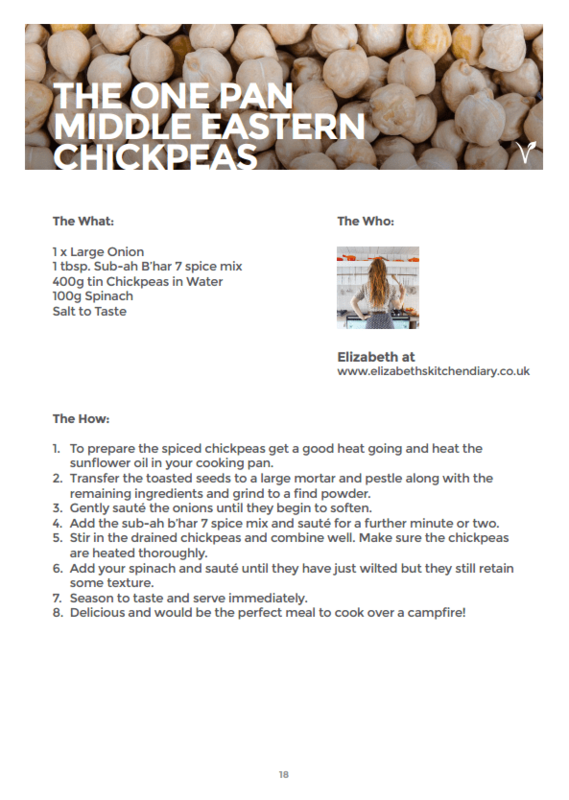 Another of the recipes that caught my eye was this: THE ONE PAN MIDDLE EASTERN CHICKPEAS by Elizabeth at Elizabeth Kitchen Diary. Talk about delicious. The mixture of Sub-ah B’Har spice, Chickpeas and Onion sounds like a delightful dish and I can’t wait to try it with the kids (maybe the goats too-they do say they will eat anything).